Valances and edge bandings give you the freedom to customize your shades to match any room décor by combining fabric texures and colors. 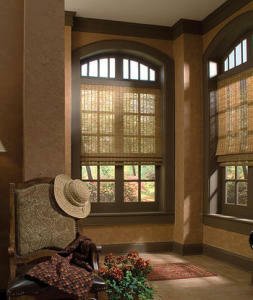 Can be built as a roller shade, roman shade, or vertical shade to maximize potential and suit your individual style. Also available as top-down/bottom-up for versatility.